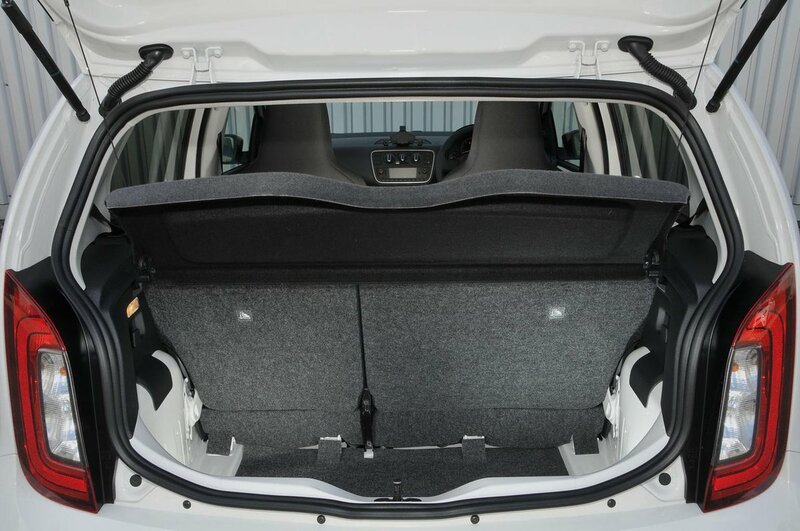 Skoda Citigo Boot Space, Size, Seats | What Car? The Citigo is surprisingly spacious in the front. There’s lots of head and leg room for tall adults and plenty of space for your elbows. Storage space is also generous by city car standards. There are wide, deep door pockets and the single cupholder, located centrally below the dashboard, is usefully deep. A small shelf that divides an open-faced cubbyhole behind the gearknob is another practical touch. The Citigo’s glovebox provides enough room for the car’s instruction manual and a sunglasses case, but that's about it. 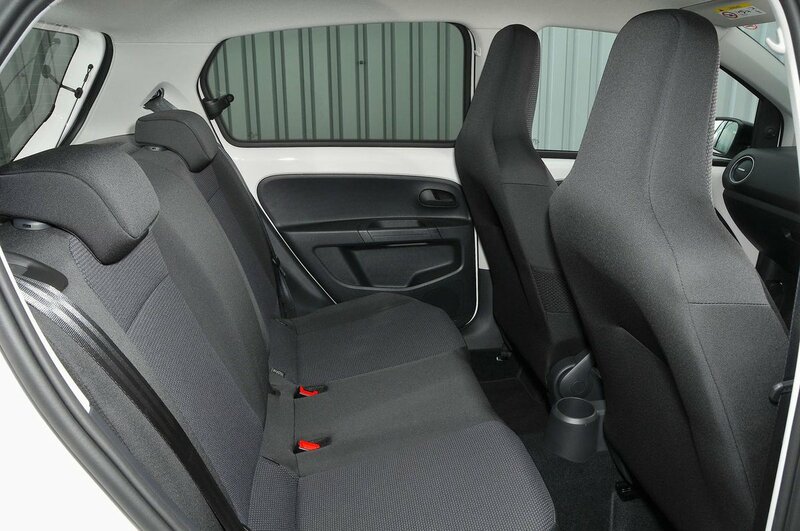 The Citigo can seat only four, whereas some rivals, including the Fiat Panda and Hyundai i10, can carry five. However, the Citigo is almost as wide in the back as it is in the front, so there’s plenty of elbow room for a couple of generously proportioned passengers. Rear head room is also impressive by the standards of the class, although leg room is tight for adults – especially if they’re sitting behind someone tall. If you carry more than one passenger on a regular basis, the i10 is a better choice. Getting into the back of the three-door model is a bit of a squeeze, but the five-door version has wide door openings and, once inside, each rear passenger gets a well-placed door armrest and a cupholder. Although every Citigo has folding rear seats, those in entry-level S models have no split option, so they drop in one long and decidedly cumbersome piece. SE versions and above get more user-friendly 60/40 split-folding seats. Unfortunately, a height-adjustable passenger seat isn’t available anywhere in the Citigo range, nor can you have a folding front passenger seat for those occasions when you want to carry extra-long items. S models aside, All three-door Citigos have front seats that slide forwards when tilted to improve access to the seats behind. 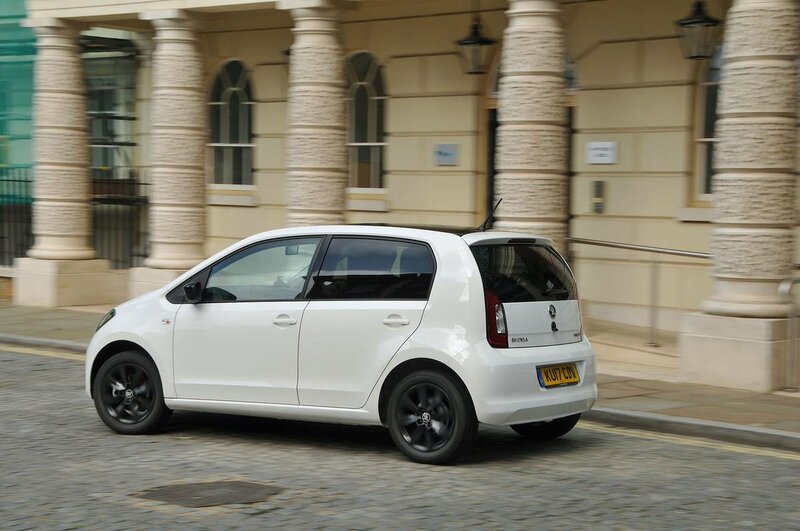 You don’t expect a city car to have a big boot, but the Citigo’s is generous enough. There’s also no wheel arch intrusion at the outer edges, so the boot floor is usefully square. A variable-height boot floor is optional on all models, allowing you to keep fragile or items safely stowed away in their own lower compartment. In its highest setting, it also removes the large step in the load bay floor that you’re otherwise left with when the rear seats are folded down. The rear seatbacks lie at a slight angle when dropped, but not enough to cause any real headaches when loading bigger items.